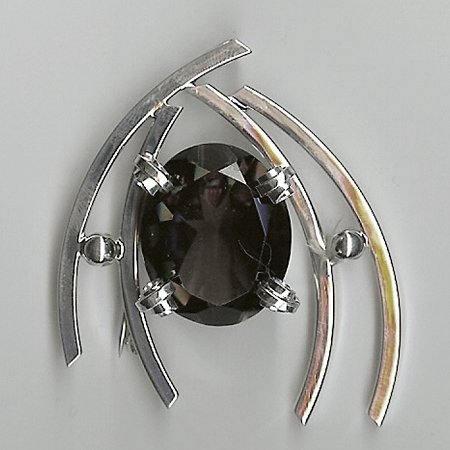 A beautiful sterling silver pin with a faceted oval Smoky Topaz. This pin has a loop for a collar or chain that makes it dual purpose. 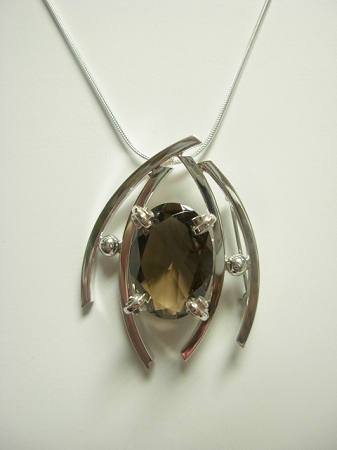 It is shown with a snake chain which is available.